Reinhold. I loved him from the first book. I’ve wanted him to get his happy ending so badly. He’s a very complex hero for a romance novel because he’s not rich and he’s not charming and life rarely ever seems to go his way. And yet, he still manages to wheedle into the reader’s heart. I found him to be a hero that was trustworthy and likeable. Well-written. The book does manage to pull you in and get you involved with the characters. I found it to be very well-written–from the historical aspect of city life in that time to the well-developed secondary characters. Some of those characters were really fascinating and I found myself wanting to read a book about one in particular. Spiritually, the novel deals with the concept of grace and how we don’t get what we deserve. Everything happened too fast. We are told that Sophie’s presence makes things better for Reinhold, but we don’t really get to see that. And while I knew she was physically attracted to Reinhold, I wasn’t sure what she really liked about him as a person. Her sudden love for him seemed like it was based on the fact that they had known each other as children and thus felt safe with him. I was a bit confused. Also, if you look past the surface, Sophie. First off, the way she deals with the two children in her care confused me. For years, at her own expense, she kept those children close. And then she makes a sudden decision that didn’t jive with her personality at all. I understood why she made her decision. I didn’t understand why she didn’t take more care in making said decision. And then there was her refusal to contact her sisters. It was just beyond selfish to me. Her whole behavior towards them really made no sense. Any of her sisters’ successes or failures were somehow made all about Sophie and so Sophie just came off as strangely selfish, needy, and entitled. Overall, it was a very quick read. Almost, too quick, but still enjoyable. As a forensic genealogist, Willow Anderson is following in her late grandfather’s footsteps in her quest for answers about a baby abducted from the hospital more than twenty years ago. The case may be cold, but things are about to heat up when someone makes an attempt on her life to keep her from discovering the truth. Ex-FBI agent–and Willow’s ex-flame–Austin McKade readily offers his help to protect the woman he never should have let get away. Together they’ll follow where the clues lead them, even if it means Austin must face the past he’s spent much of his life trying to forget. And even if it puts Willow’s tender heart at risk. This was my first book by Elizabeth Goddard. I just so happened to be in the mood for a good old-fashioned mystery, so I decided to give her a try. So glad I did! Willow and Austin. They were very uncomplicated characters. Willow is hurting and quite frankly, being hunted, but she’s very strong and resilient. She was going to solve this case with or without Austin. And yet, if Austin was willing to help, she wasn’t going to be so stubborn as to resist it. Austin has a lot going on mentally, but I enjoyed going on the journey with him of letting it all go. Romantically, I think the best thing about them is the fact that they already dated and broke up. They already know the other person’s flaws. It just made the romance so much easier because instead of running from their issues, they were very honest and forthright with each other (though it takes a bit of time to get there). The plot. I really liked the idea of forensic genealogy. It presents a totally different way of approaching mysteries. Even learning how their work is done was fascinating. On top of that, this story not only had a major mystery that needed to be solved, it had a mystery within a mystery, and secrets within secrets. It made for a quick read and a solid page-turner. Relationships. In the second half of the book, Austin has to reconcile with his past and I actually found the dynamics of his family to be as interesting as the romance. I’m definitely curious about the third brother. Wyoming. I’ve never been there. I’m not sure what it looks like, but the author really makes the area come to life. In some scenes, it almost becomes a character. Spiritually, both characters believed in God and prayed often. All in all, several things were played up as very serious (and they were serious, but…) or very difficult, but once you found out what was happening, it was a bit underwhelming. Overall, a very good, fun to read book. I’m looking forward to the rest in the series! Denver chef Rachel Bishop has accomplished everything she’s dreamed and some things she never dared hope, like winning a James Beard Award and heading up her own fine-dining restaurant. But when a targeted smear campaign causes her to be pushed out of the business by her partners, she vows to do whatever it takes to get her life back . . . even if that means joining forces with the man who inadvertently set the disaster in motion. 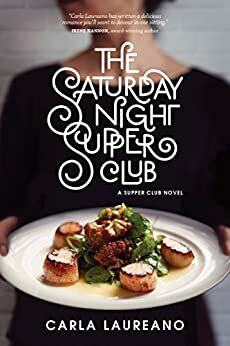 Alex agrees to help rebuild Rachel’s tarnished image by offering his connections and his home to host an exclusive pop-up dinner party targeted to Denver’s most influential citizens: the Saturday Night Supper Club. 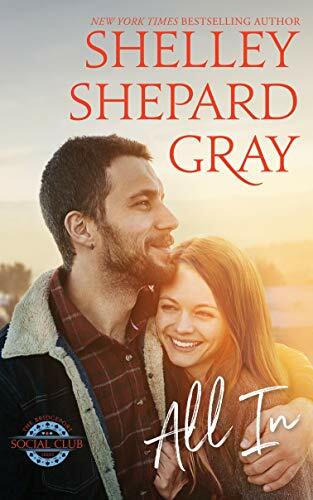 As they work together to make the project a success, Rachel begins to realize Alex is not the unfeeling opportunist she once thought he was, and that perhaps there’s life—and love—outside the pressure-cooker of her chosen career. But can she give up her lifelong goals without losing her identity as well? The food and chef world. I love food and I love cooking channels, food documentaries, visiting James Beard Award winning restaurants and eating at Michelin starred restaurants and I really felt like Laureano managed to capture that atmosphere so nicely on the pages. There are so many wonderful descriptions of food that’s also contrasted with the long hours and the importance of reputations, etc. I really felt like the author did a good job of bringing all of it to life. Contemporary romance. I liked Rachel and Alex. They both have an interesting background, and Rachel is career driven while Alex is more people-driven. I will admit that I’m not typically a fan of career-driven protagonists, but Rachel made sense. Even when she’s prickly, she’s relatable. Alex and Rachel had their moments of clashing, and even a slight misunderstanding (mentioned below). However, they always worked through it. Their story doesn’t rest on miscommunication, but instead on how important it is to trust. Spiritually, both characters discuss their faith and how it has defined them. I will admit that it seemed more a characteristic than a lifestyle, but *shrugs*. It does follow the traditional journey of having the couple “split” around the 75-80% mark of the book over something that seemed a bit…unneeded. It’s a bit slower, especially since it’s more character driven than plot driven. I wasn’t necessarily racing to get through this book, but still every moment was enjoyable. Overall, a very cute story. I’ve already purchased the next one! Eloise, ironically enough. While her past (in reference to the second book) is briefly mentioned, most of this book presents a different side to Eloise than I had seen before. As always, Camden has crafted a very smart and a very talented heroine. She definitely has her quirks, but every layer of her personality works. She could have been annoying, instead she comes off as completely relatable. I liked everything about her. And, she’s a perfect foil for Alex. Alex. Oh, Alex. Kudos to Camden for always managing to craft unique heroes. Alex is flamboyant and charismatic, caring and yet sometimes selfish (more on that later). But the thing I loved about him the most was that he was transparent. Alex didn’t play games or have secrets. He’s very straightforward…which leads me to the romance. Romance. I liked the romance here because a) the foundation was…interesting (I’m going to leave it at that) and b) neither character played games. They were very honest with each other. It made for a romance that worked and for one that had a solid foundation. It’s always a joy when a couple can work together instead of against each other. The plot. There’s a pretty neat twist in there. The book went from being about one thing to being about another. Typically, I would find this frustrating, but the twist had a very nice setup that made it all work together in the end. History. I have never thought about what it would take to move a town or why that would be a thing that would ever happen. I feel like I learned so much and more than that, found myself completely invested in these people and their problems. Spiritually, the characters pray and often reference God. Alex had his moments. Camden can write some heroes who drive you crazy…because they aren’t perfect and they’re not trying to be. They do not always apologize for their actions, per se (or in a way I would like). The heroine has to just kind of decide if she’s going to take the bad with the good…which I guess is completely realistic. So, take that with a grain of salt. Overall, a lot better than I had anticipated. I just really enjoyed this book. Meredith Hunt is content with her solo life. She owns and runs a successful Pilates studio, volunteers at the high school every week, and recently bought a house. She can take care of herself, which is good because she has a hard time relying on other people. When she’s mugged and a handsome man comes to her rescue, she doesn’t know how to accept his help-or how to stop staring into his chocolate-brown eyes. Ace Vance moved to Bridgeport to offer his fifteen-year-old son, Finn, a better life. Here, Finn has a chance to play football for a good team and maybe even earn a college scholarship. And Ace scored a job at a top-notch garage, where he gets to fix up classic cars. Plus, they could both use some distance from Finn’s toxic mom. The last thing on his mind is falling in love, but he can’t help offering assistance to a gorgeous redhead in need. Thrown together by a careless criminal, Meredith and Ace can’t deny their attraction. But can they open their hearts-and their lives-to make room for love? Shelley Shepard Gray’s Bridgeport Social Club series explores how communities can come together to support each other, whether it’s around a poker table, in a Pilates studio, or anywhere in between. Get ready to fall in love with a group of men and women who, even when they feel lost, refuse to lose hope. Relationships. This is a book about relationships and there are a lot of great ones. First, there is Finn and Ace. Ace has always been there for Finn as a dad, but he hasn’t been “all in” like he should be. The novel does a lovely job of showing what surface parenting is verses being a full time parent. It even addresses the problems that might arise when you’re not totally committed. That said, watching Finn and Ace really get to know each other made me really love the characters. Secondly, there was, of course, Ace and Meredith. I thought Gray did a lovely job of showing a new relationship coming together. There were insecurities on both sides and both characters had past relationships that didn’t end so well, nevertheless that kind of theme of going “all in” was there and it made for a very cute romance without drama. Also, I loved that theirs was a relationship with a lot of give and take. Ace is there for Meredith and Meredith is there for Ace. It was a relationship you could believe in. Thirdly, Meredith and Finn. I think it would have been easy for Gray to gloss over Finn and Meredith’s relationship but she does a lovely job of crafting their relationship outside of Meredith and Ace. Fourthly, friendship in general. Ace has his friends and Meredith has hers. I think the overarching theme of this series is the importance of stepping out of yourself and developing relationships…especially when it’s not easy or comfortable. There were four points of views in this novel. One of those povs could have been cut. There was a moment or so when I wanted to tell Meredith to have some backbone. She was supposed to be withdrawn and independent, but every decision she made seemed to come from someone who was just needy. 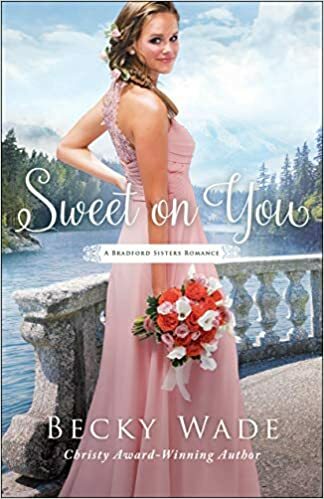 I will say that though I knew this wasn’t going to be a “Christian” romance per se, I was still surprised by some of the choices the author made. And not necessarily in a good way. When I consider all of the other books she has written, I was left more than a little confused about things. Overall, I read this book because I wanted something light and fluffy. I got that. But. I just may not be reviewing this series anymore on my blog as it not within the purview of my typical reviews. Elizabeth “Lizzie” Clouston’s quietly held principles oppose those of the Southern Cause–but when forty thousand soldiers converge on the fields of Franklin, Tennessee, the war demands an answer. 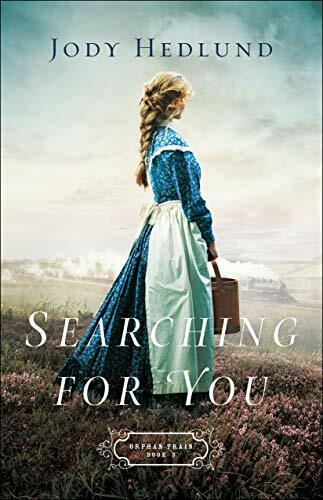 The Carnton home, where she is governess, is converted into a Confederate hospital, and Lizzie is called upon to assist the military doctor with surgeries that determine life or death. Faced with the unimaginable, she must summon fortitude, even as she fears for the life of Towny, her fiancé and lifelong friend. Lizzie is nothing if not a woman of her word, earning the soldiers’ respect as she tends to the wounded within Carnton’s walls. None is more admiring than Captain Jones, who doesn’t realize she is pledged to another. 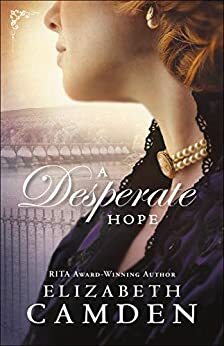 But as Lizzie’s heart softens toward the Confederate captain, she discovers his moral ground is at odds with her own. 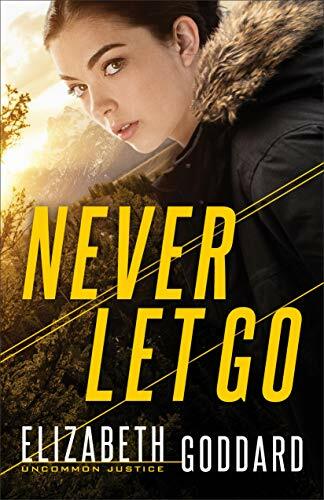 Now torn between love, principles, and pledges made, she struggles to be true to her own heart while standing for what she knows is right–no matter the cost. This book, more than any other of Alexander’s “Plantation” books really explores the complexity of slavery and Christian slaveowners. I thought she did a really good job of showing the layers of slavery and its effects on people personally and often professionally. Without telling you that slavery is wrong, through her characters she’s able to show you (almost too well, but more on that later). Furthermore, she was really able to take a moment in history (there’s a battle/hospital scene) and really make it come to life with her descriptions. You could really see it and smell it and experience it. 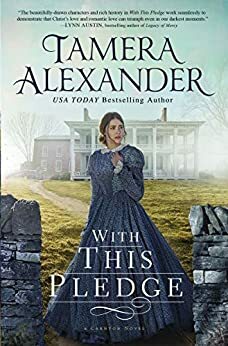 I have read all of Alexander’s books and she continually amazes me by creating characters that are very different from one another and yet none of them are cookie-cutter. Lizzie is a very soft-hearted character (often too soft hearted) and you could really see that in every action and decision that she made. Usually, Alexander interweaves history with fiction well. In this book, there were too many times where it just didn’t work. I would instantly know that the speech someone was giving was probably real, or the letter being read was genuine, or the description of some scene was used by a person who had actually been present at that time. It took me out of the story each time because it just didn’t flow. Instead it felt like Alexander did a ton of research and did her best to include as much as she could. It was too much. It got slow. I don’t mind slow. Especially from master-crafts of characters like Alexander. But most of this book takes place in one location and I felt like I was there forever. I definitely was skimming the second half. The setting. Let me first start by saying I really don’t care for the Plantation settings that Alexander has been on a kick with lately. I say this as someone who loves all things Civil War. I love Civil War fiction, I visit battle sites (and Plantation homes), I watch documentaries…I just plain find it all fascinating. So, it’s not the time period or the era that bothers me. At all. It’s this strange romanticizing of Plantation homes and their owners that I struggle with. She is constantly trying to convince me that they were good, honorable people. I am quite simply not buying. That said, I’ve been able to push past it with her other books, but I think because Alexander tackled the issue of Christians owning slaves, I found it really didn’t work with this book. I have always found it incredibly difficult to reconcile the idea of godly people being slaveowners but in this book we actually get some stories from the slaves themselves about their owners. And they’re awful. On the one hand I’m presented with the owners of Carnton as examples of all things godly, on the other hand I learn they sent their slaves down south so they wouldn’t run away and the one slave they kept is slightly terrified of them at times. So, yeah. That didn’t work. By the end of the book I could have cared less about Roland and Carnton and Carnton’s owners. Like go fly a kite. I get it. People are complex. And it cannot be easy to write a book that is accurate when it comes to the way in which people thought back then. But when these people are held up as a godly standard, and their slaves tiptoe around them, their piety just reads as false to me. And I’m not saying you can’t like problematic people. You absolutely can. Hello, Rhett Butler (talk about charming). And I have read Christian books with slaveowners as heroes that I actually liked (Charles in Lynn Austin’s Candle in the Darkness). But Roland didn’t work and I think it boils down to the fact that you can’t be presented as both kind and cruel. Either the hero stays a little bit cruel to everyone all the time or he transitions from cruel to kind. But he can’t be both. And Roland was both. As a commentary, his personality worked. As a romantic hero, he failed. Overall, not my favorite. But I’ll still read the next book she writes.